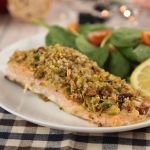 Christmas is just around the corner and we have a healthy, nutritious and delicious meal to kickstart this festive season~ The Baked Salmon with Crusted Pistachio is really easy to make and you can impress your loved ones with this simple dish. A special honey lemon mustard sauce coats the entire salmon, giving this dish a really unique zesty sweet taste - ideal for picky eaters who find salmon a little too fishy to their liking. Best of all, no oil is needed to cook this dish! We slightly sear the skin of the salmon to ensure the fish stays intact and also to give it a slight crisp to the overall texture of the dish! Skin down on the pan people! Salmon skin face down on the pan! 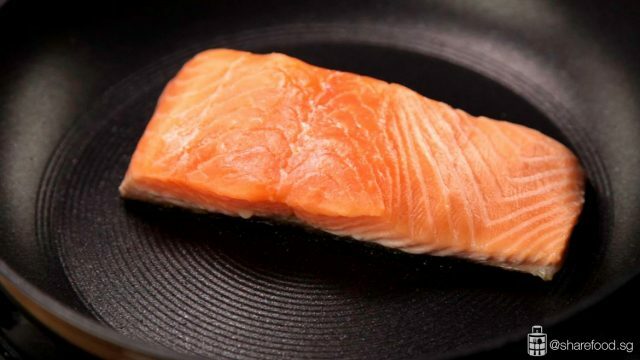 After 3 minutes, pick up the salmon and see whether has the skin turn golden brown. No cooking oil is needed when searing the salmon as we used the non-stick Circulon Ultimum, so no fear of fish skin sticking on the pan! 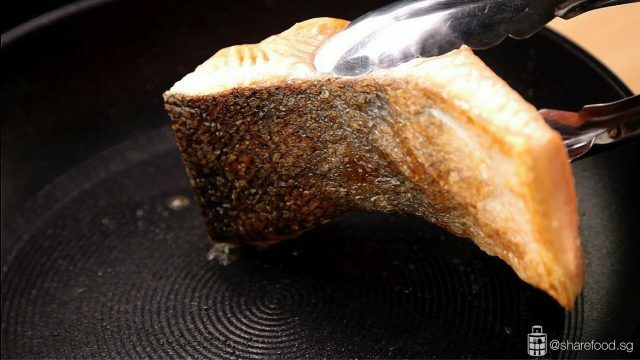 Check whether the salmon skin has turn golden brown by flipping it. In goes the pan into the oven! Baked on top & bottom heat for around 10mins @ 190 degree celsius (374 fahrenheit). Many thanks to Kai Wen, a newlywed staying at Buona Vista, for sharing this wonderful recipe with us! Merry Christmas everyone! What are you waiting for? Grab the full recipe below now! 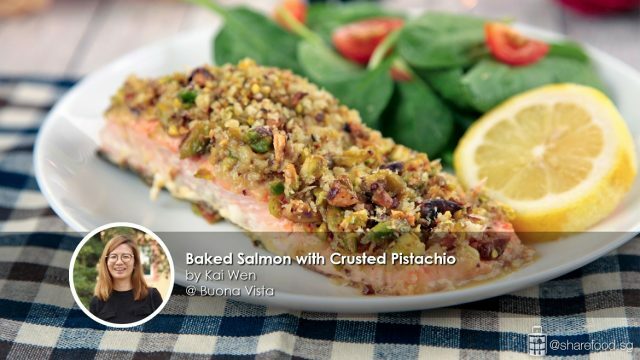 The Baked Salmon with Crusted Pistachio is really easy to make and you can impress your loved ones with this simple dish. A special honey lemon mustard sauce coats the entire salmon, giving this dish a really unique zesty sweet taste - ideal for picky eaters who find salmon a little too fishy to their liking. Best of all, no oil is needed to cook this dish! In a small bowl, combine lemon juice, lemon zest, mustard and honey. Mix well and set aside. In a separate bowl, combine chopped pistachio, panko and olive oil. Mix well and set aside. Heat up a frying pan over stove. Place the salmon skin side down, cook for 3 minutes over high heat to brown the skin. Remove from flame. Spread a layer of condiment mixture, follow by the chopped pistachio mixture. 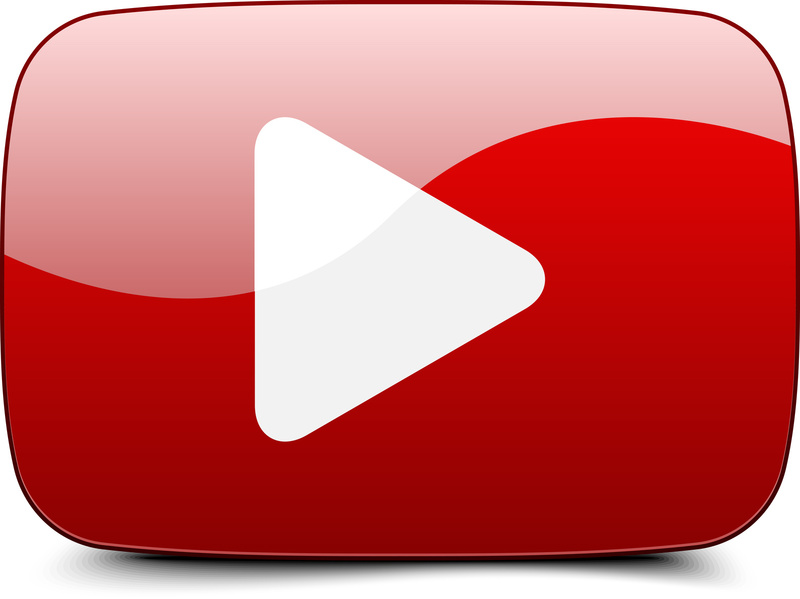 Press to adhere. Preheat the oven at 190 degrees for 10 mins. 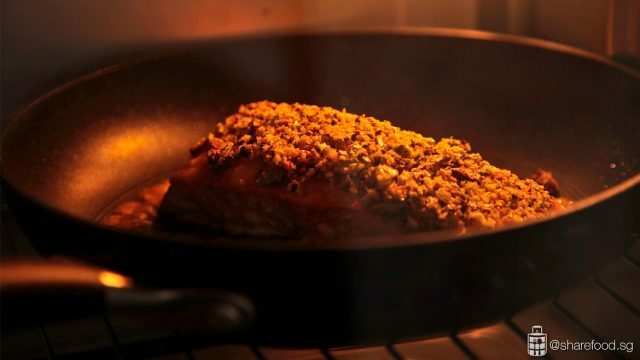 Transfer the pan to the oven and bake it for 8 – 10 mins, depending on the size of the salmon fillet. On a plate, lay the salmon fillet on it. Plate it with the salad and lemon slice and ready to serve.